Each month, we interview a human factors expert to get their take on the Human Factors and User Experience industry. In this month’s installment, we sat down with the founder and President of Research Collective, Dr. Russell Branaghan. Question: What is the most common human factors mistake you encounter? Answer: I think too many companies start with a technology and then look for problems to solve with it. The human factors approach turns that on its head, by identifying the problems and challenges people encounter, and then choosing from any number of technologies, or even no technology at all to solve the problem or meet the challenge. The thing to remember is that technologies are ever-changing, but customer needs and basic human behaviors do not change nearly as much. As a result, building your offer on a foundation of customer needs is far more solid than building it on a technology. Question: So in your 25 years of experience, what is the best way to incorporate human factors into the product development strategy? Answer: As the name suggests, “human factors” practitioners are tasked with being the team’s experts on human behavior, capabilities, and limitations. So they need to be involved in product development early and continuously throughout the development cycle. For example, human factors is critical to identifying customer needs. People encounter innumerable challenges as they go through their daily activities, and each challenge can inspire new product ideas. Observational research, interviewing and participatory design can help us identify what problems to solve and what products to design in the first place. Then human factors is involved in prioritizing the features and functions of a product to determine which components are most important. Later, human factors is involved in usability testing early prototypes. This enables us to discover, and remedy usability problems early, when making changes is still inexpensive. As development proceeds, usability testing can be used to validate the design before going to market or submitted to a regulatory agency. Question: What is human factors, exactly? Answer: Of course, from teaching, I know this definition off the top of my head. I use a definition from Chris Wickens and several other luminaries in the field. The official definition is, human factors studies and applies knowledge from all human sciences to improve the match between people and the world, through the design of products, processes and environments. This includes knowledge of human behavior, human limitations and other characteristics. I like this definition because it emphasizes that humans have impressive capabilities and substantial limitations. And, design needs to capitalize on the capabilities and accommodate the limitations. When we do that, the world becomes more compatible with human behavior. Products become easier to use, safer, and more satisfying. Unfortunately, it is not as easy as it sounds. One of the founders of the field, Alphonse Chapanis, once remarked that, “it’s easy to make things hard. It’s hard to make things easy”. And, he was right. Making products easy to use requires early research, prototyping, testing and iteration. It also requires an understanding of human cognition and emotion. These things are hard, but satisfying. Dr. Russell J. Branaghan is Associate Professor of Human Systems Engineering at Arizona State University. Russ also serves as Visiting Professor of Human Factors in the Master of Product Design and Development Program at Northwestern. 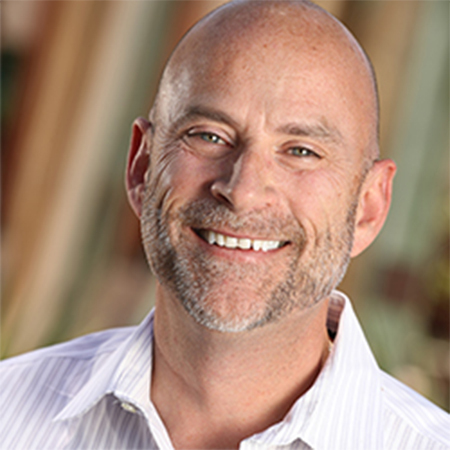 Before joining ASU, Russ spent 15 years in industry as leading human factors research teams at Hewlett-Packard, IBM, Fitch, Big Red Rooster and Lextant. Currently, Russ serves as Founder/President at Research Collective, a Human Factors research firm.